In stock 188 items in stock. 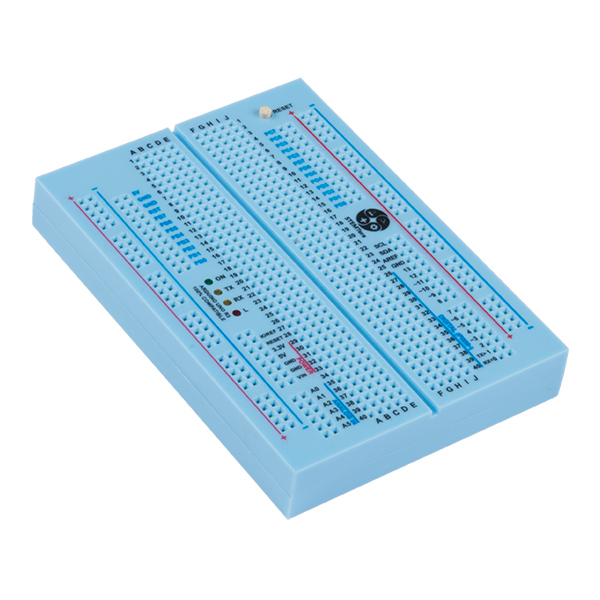 The STEMTera is an innovation in breadboard history. 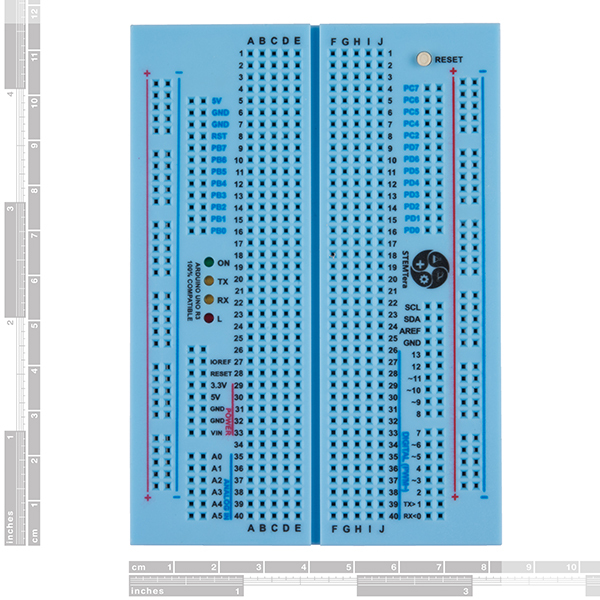 It is the first breadboard with an Arduino-compatible hardware suite built in that works with thousands of shields. 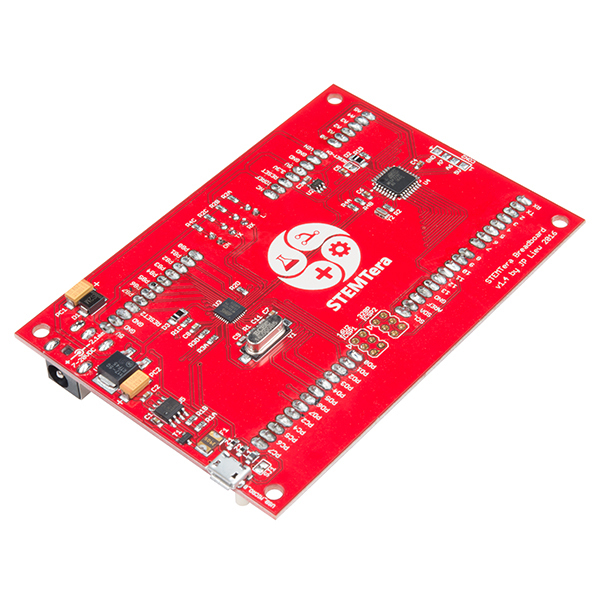 With ATmega16U2/32U2 pins exposed, native USB projects can be easily developed using the LUFA framework. 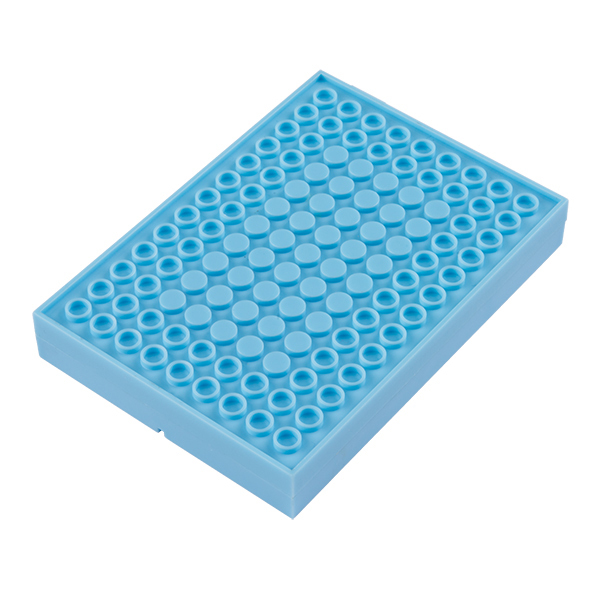 The STEMTera also features a LEGO® brick-compatible bottom that empowers projects to be built beyond imagination. 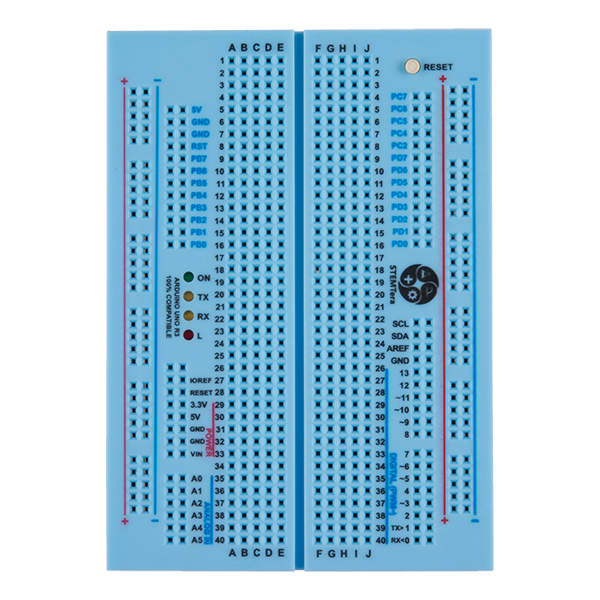 This version of the STEMTera is housed in a durable blue ABS plastic enclosure. 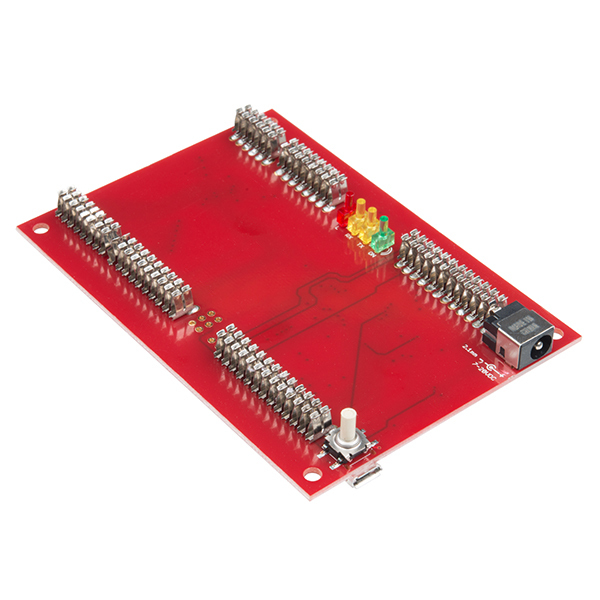 With the shield compatible pins where they are, a shield with jacks like a ethernet shield eliminates the ability to use much of the breadboard. Wish it mounted shields on the other end.